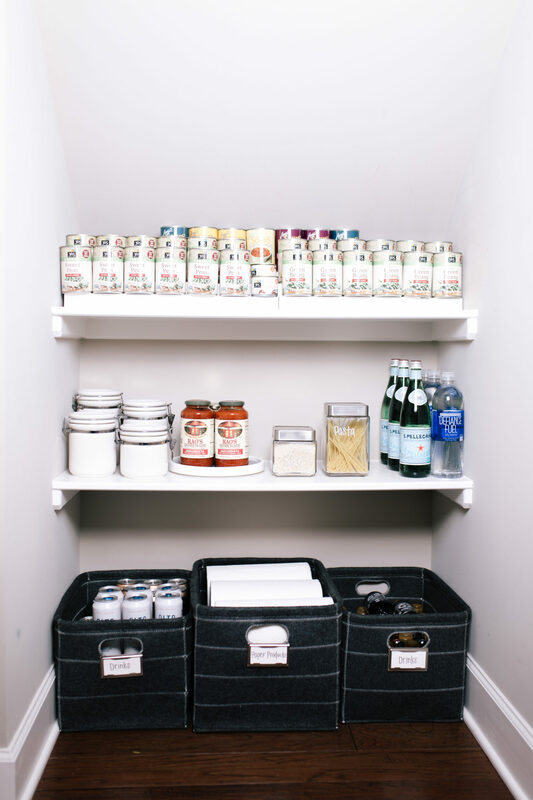 I’ve teamed up with Alesia at A Well-Organized Home here in Nashville to organize my pantry and in turn my life. HA! Sounds dramatic, but it’s really not. Keeping my home clutter free makes everything function more smoothly, and ultimately keeps stress down. Spring cleaning time is here! It’s so important for me to keep this new house is the best functioning order I possibly can. Two babies and working from home is enough on my plate. I don’t want to constantly be in choas on top of that. The hardest part is truly just getting it all started. Once everything has it’s perfect place, it’s much easier to maintain. 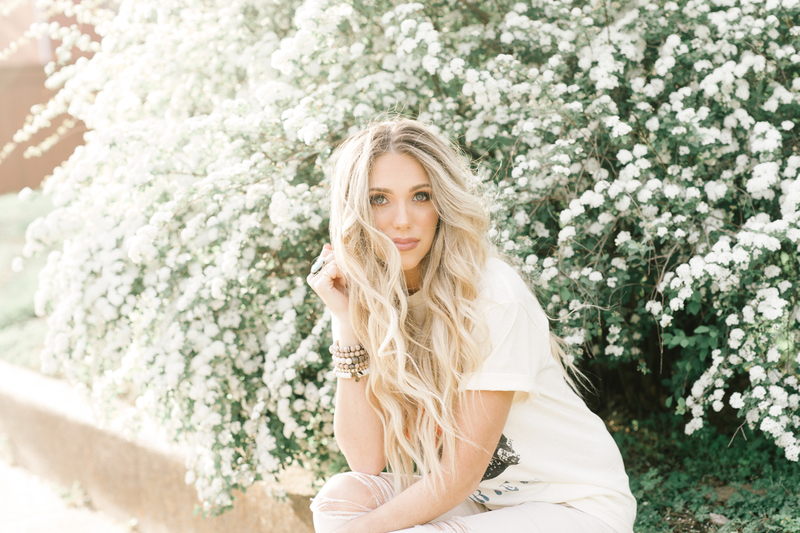 That’s where Alesia comes in. I mean.. I just love this on so many levels. 1. 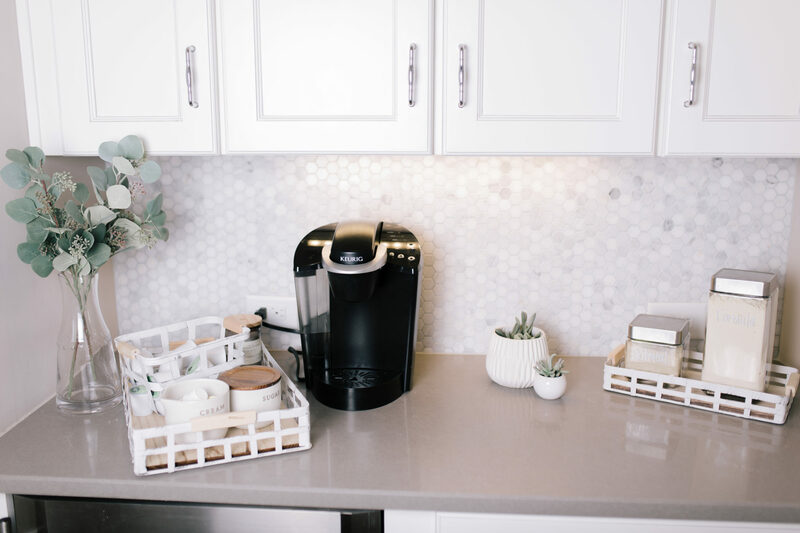 Use acrylic bins and a few different styles of baskets. 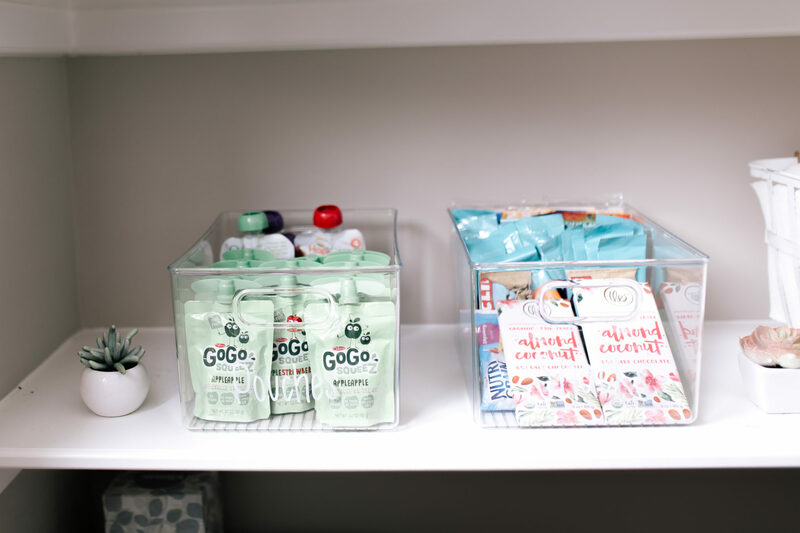 Acrylic bins are great for grab-and-go snacks, and baskets are great for items that you want to keep in their original packaging. 2. 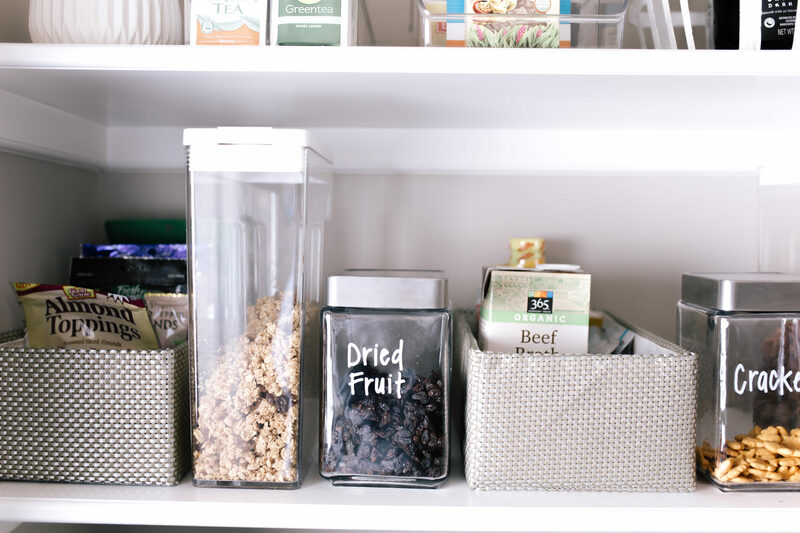 Clear canisters are great for decanting more than just your pantry staples. They can be used for any product that you always have on hand, like cookies, crackers, pasta, etc. 3. 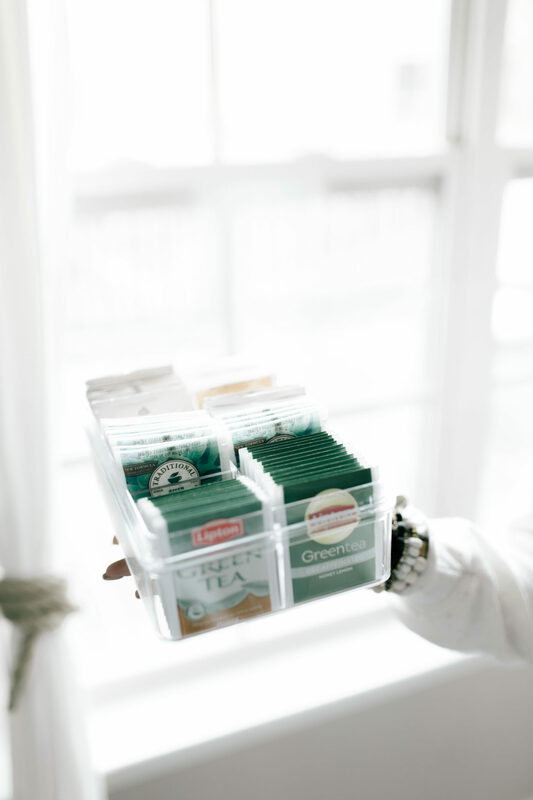 Label, label, label – Labeling makes life easier on you and the rest of your family. Now everyone doesn’t have to ask where something is! 4. Always have an “extra” bin. We all have a tendency to overbuy something, so having a bin to keep the “extra” in helps corral those items in one place. 5. 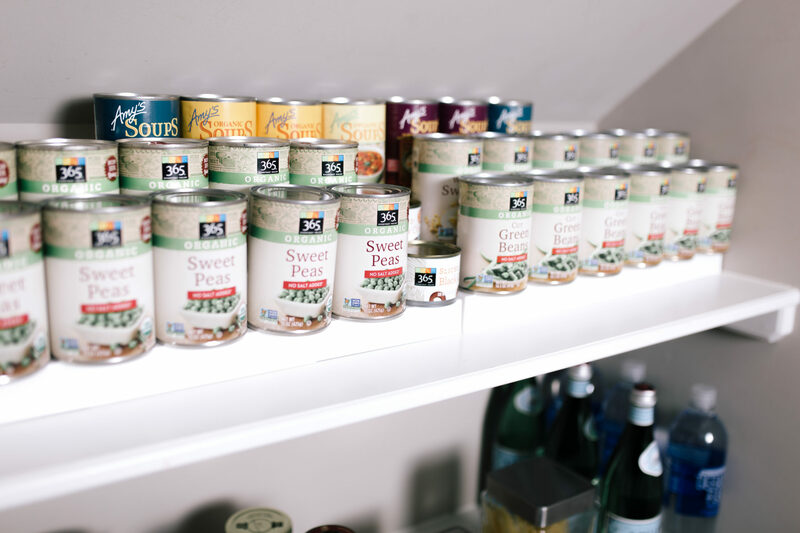 Take stock of your pantry before going to the grocery store. 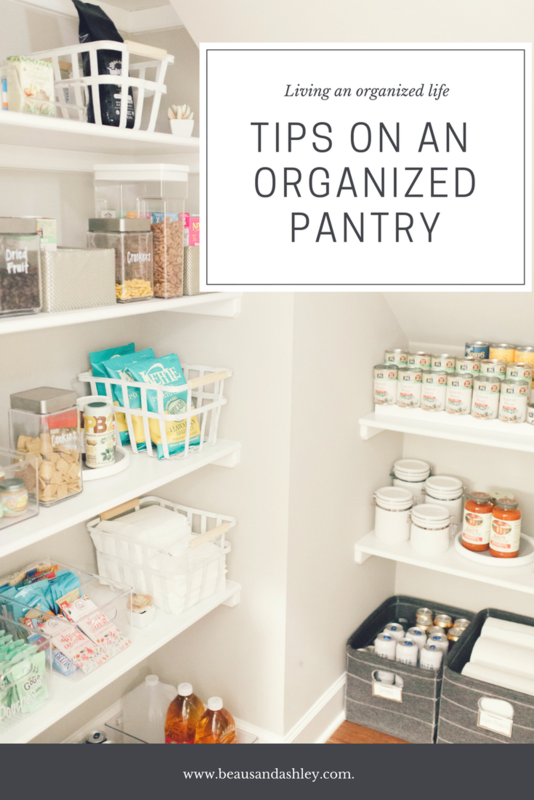 Take five minutes to quickly look over your pantry before going to buy groceries. Then you’ll know what you actually need and won’t overbuy. *During the consultation, I come to your home, take a look at the space or spaces you want organized, and ask a lot of questions. I want to know who all uses the space, what you like about it, what you don’t like about it, how you’d like it to function, how often is it used, etc. I ask a lot of questions because there is no one-size-fits-all for organization. For me to get the space functional for you and your family, I need to understand your family and your family’s habits, so that’s why I ask so many questions. I’ll also take photos and measurements during the consultation. 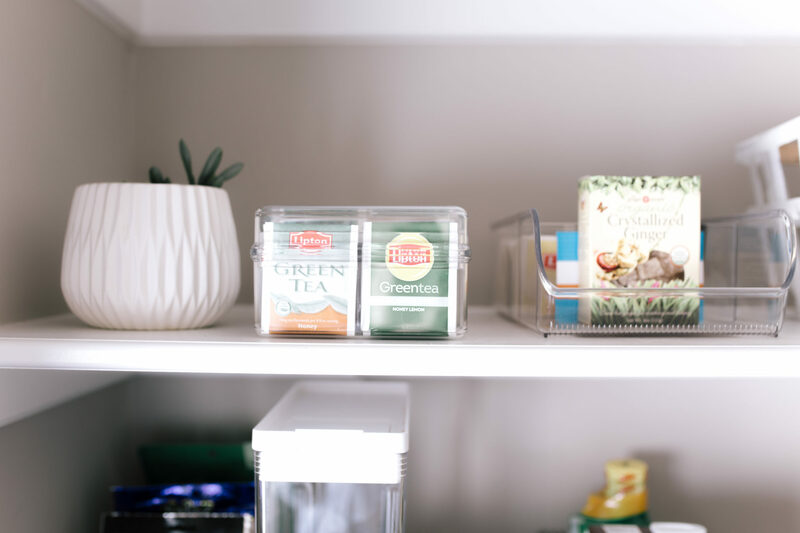 I will also look at what organizational products you already have in that space (if any) and talk to you about if you want them incorporated or if you want to start from scratch. The consultation can last anywhere from 20 minutes to an hour, depending on the size and number of spaces you want me to look at. *After the consultation, I take all of the information I’ve gathered to create an estimate. I’ll break the estimate down by space and also by organization service and supplies. All supplies are a pass-through, meaning you pay exactly what I pay for them. Organization service is on an hourly basis I usually base it on a range within an hour or two (i.e. 4 to 5 hours, 8 to 10 hours, etc.). I’ll email over the completed estimate (usually within 24 hours). *Once you’re ready to move forward, we’ll settle on a date or dates to complete the project. Clients can be home when I actually do the organizing but they don’t have to be. It’s whatever they feel comfortable with – I’m fine with either! SURPRISE! 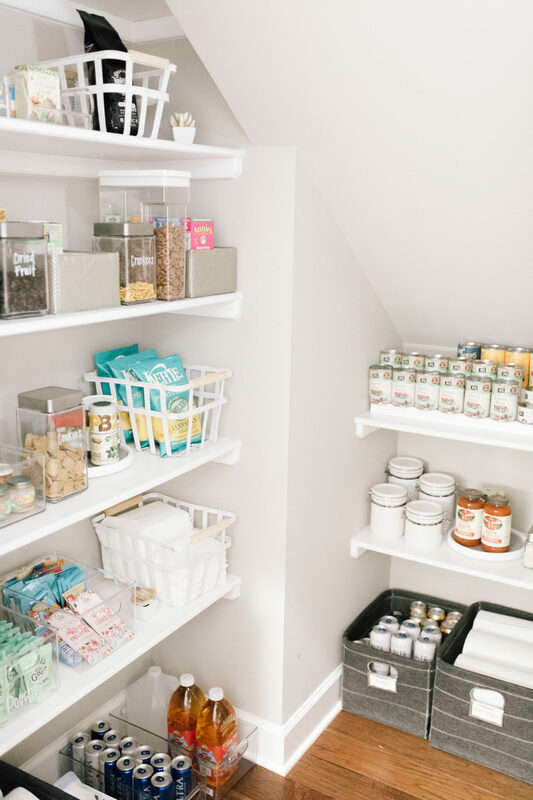 We are also giving away a complete organized pantry makeover to one lucky winner! You can head on over to Instagram to enter and for further details. Check that out HERE.